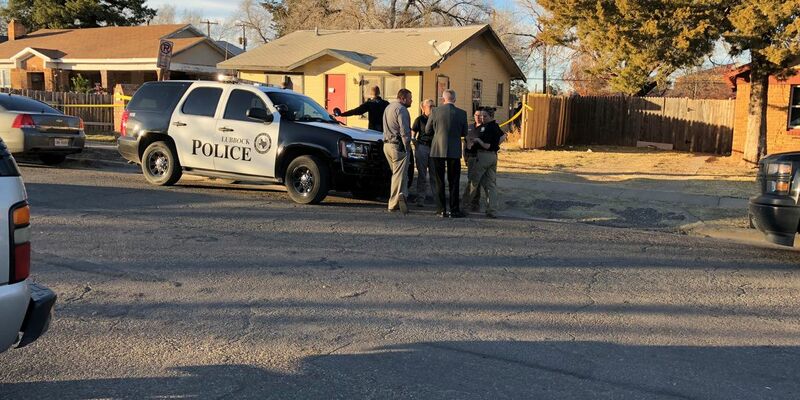 LUBBOCK, TX (KCBD) - Police say two people have been arrested and charged with the murder of the unidentified person found in the backyard of an abandoned home on Nov. 28. According to court documents, the murder happened on June 11, 2018. Kethan Anderson, 38, and Anna Smith, 31, are now in custody and charged with the murder. Anderson was arrested Monday morning in Hereford, and Smith was arrested Friday night in Burleson, near Fort Worth. The skeletal remains of the unidentified victim were found on November 28, 2018 in the backyard of an abandoned home in the area of 2100 20th Street. The Lubbock County Medical Examiner’s Office is still working to identify the victim who is believed to be a male. According to the arrest warrant for Anderson and Smith, they, along with the victim, were all homeless and did not know the victim prior to the incident. According to the warrant, Anderson bragged to numerous people since the death of the unidentified victim, about choking a man and killing him in a backyard. Smith told police she caught the victim exposing himself over her while she had been asleep. The statement goes on to say Anderson and Smith left the house and returned an hour and a half later and confronted the man about exposing himself to her. Smith admitted to police she pulled a knife on the victim and Anderson tackled him to the ground. She admitted to police she held the victim down on the ground while Anderson strangled the man. She told police they left him laying in the precise location where the skeletal remains were found. Detectives with the Lubbock Police Department and Lubbock County Sheriff’s Office immediately began an investigation into the death. Based on information gathered, it appears the individual is a victim of a homicide. Detectives quickly identified Anderson and Smith as suspects in the murder, and arrest warrants were issued the evening of November 30th. Later that night, Smith was arrested by the Burleson Police Department and is now in the Johnson County Corrections Center. Just before 10 a.m. on December 3rd, Anderson was arrested by Deaf Smith County deputies in Hereford, Texas. Both suspects are expected to be transferred to the Lubbock County Detention Center at a later date and will be held on a $200,000 bond each.